Armonia Atenea is the new international name of the Athens Camerata. The orchestra was founded in 1991 by the Friends of Music Society of Athens with the inauguration of the Megaron, the Athens Concert Hall. Since then it has been the resident orchestra of the Megaron. 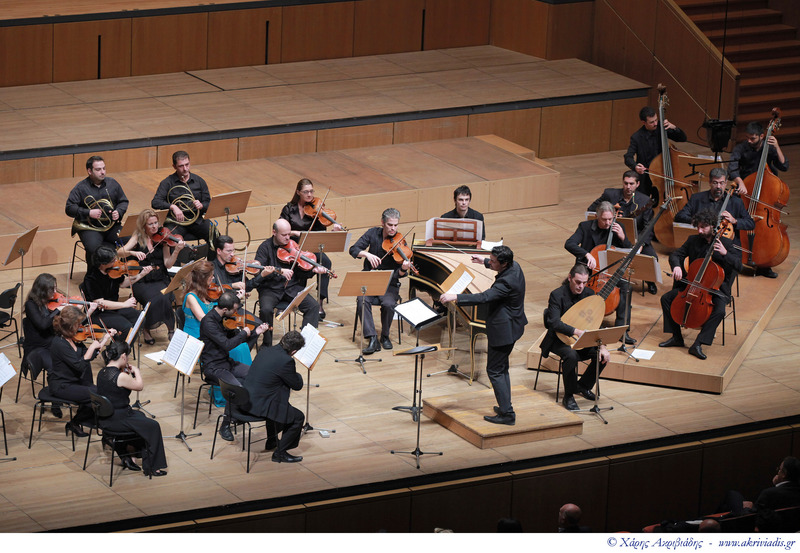 From 2011 the orchestra has spread its main activities between the Megaron and the Onassis Cultural Centre, Athens. Armonia Atenea presents a multifaceted identity, equally at home on period and modern instruments. It encompasses a wide concert repertoire from early baroque to 21st century, as well as opera and ballet productions. The Echo Klassik winning conductor George Petrou holds the post of artistic director. Former artistic directors have included Sir Neville Marriner, Christopher Warren-Green and Alexander Myrat. The orchestra maintains a busy concert schedule in Athens and also appears in many of the world’s most prestigious venues and festivals such as the Musikverein (Vienna), the Théâtre des Champs – Elysées (Paris), the Opera Royal Versailles, the Concertgebouw, the Salle Pleyel the Innsbruck Summer festival of Early Music, the Versailles Festival and the Bucharest Enescu Festival. Future highlights include appearances at the Palais de Bozar (Brussels), the Arsenal (Metz), the Opera de Monte Carlo, the Grand Theatre (Aix-en-Provence), the Tonhalle (Zurich) and the National Opera of Bordeaux. The orchestra has a long list of cd releases for companies such as DECCA, SONY CLASSICAL, EMI Classics, MDG, ECM Records etc. always receiving the highest praise from the international press («Diapason 5», BBC music-«Recording of the month» and Opéra-«Découverte»). Recent releases include the world premiere recordings of Handel's Alessandro Severo and Gluck's Il Trionfo di Clelia (MDG). The latest recording of Armonia Atenea, Handel’ s opera Alessandro, with a star cast including Max Emanuel Cencic, Karina Gauvin, Julia Lezhneva and Xavier Sabata, released by DECCA (sponsored by The Friends of Music Society of Athens), received the highest distinctions and critical acclaim from the international music press: Diapason d’ Or, Choc Classica December/January and Choc of the year 2012, Recording of the month December – BBC music magazine, IRR outstanding (January 2013), the “Best Recording of the Year” award in the International Opera Awards 2013 and the Stanley Sadie Award of 2013. For the artistic season 2013-2014, five new recordings will be released: the Baroque Divas (Sony Classical), a selection of rare arias from operas of the baroque era interpreted by Sonia Prina, Romina Basso, Vivica Genaux and Mary-Ellen Nesi; the Rokoko, a solo album of the famous croatian tenor Max Emanuel Cencic with beautiful arias of the Rococo period (DECCA); the Gluck - opera arias a personal album of the tenor Daniel Behle, a Tribute to the 300th anniversary of Gluck's birthday (2014), with the finest arias for tenor (DECCA); the Counter-tenor Gala, an album dedicated to the rare voices of counter tenors with the participation of six of the most profound tenors (Sony Classical) and the Creatures of Prometheus of L.v. Beethoven (DECCA). The orchestra has collaborated with famous conductors such as Fabio Biondi, Thomas Hengelbrock, Philippe Entremont, Christopher Hogwood, Helmut Rilling, Heinrich Schiff, Stephen Kovacevich, Mstislav Rostropovich, Yehudi Menuhin and soloists such as Martha Argerich, Yuri Bashmet, Joshua Bell, Max Emanuel Cencic, Karina Gauvin, Vivica Genaux, Leonidas Kavakos, Julia Lezhneva, Radu Lupu and also Mischa Maisky. Contemporary music is another important aspect of the orchestra’s life. The orchestra often commissions, premiers and records works by many contemporary composers. It also shows great commitment to educational programmes, performing special concerts at schools and all over Greece. 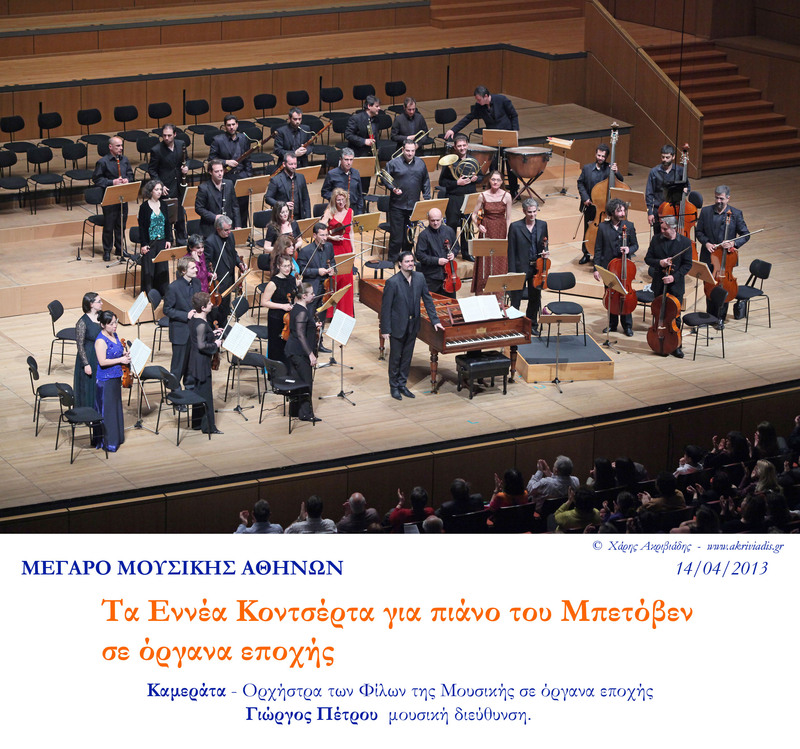 In 1996 the orchestra was awarded the Music Prize of the Greek Critics Union for its artistic and educational work. 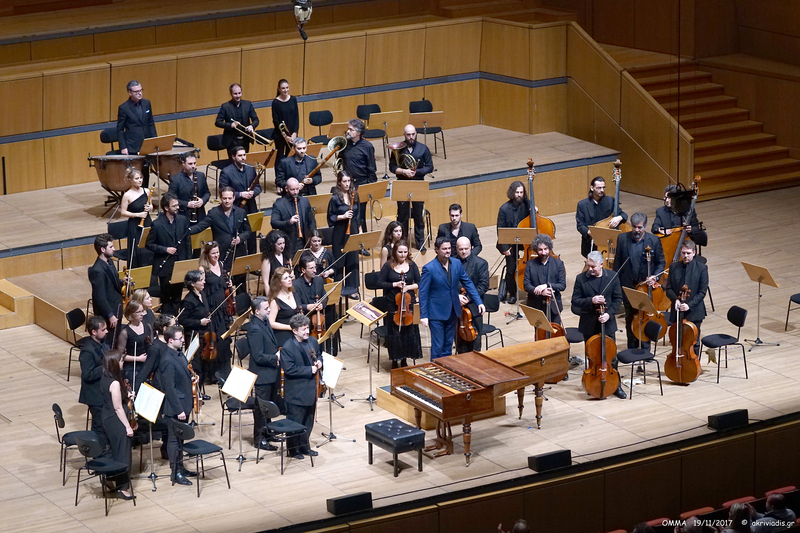 The orchestra is supported by the Hellenic Ministry of Culture and Sports and the Megaron. Grand sponsor of the orchestra is the Onassis Foundation. 02: O di spietati numi più spietato ministro!